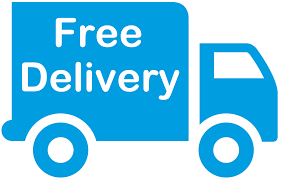 Do you appreciate good design and top-class functionality? 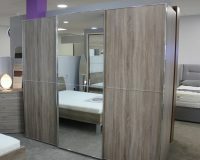 If so, take a look at the spacious individual wardrobe units with sliding doors in our Miami 2 range. 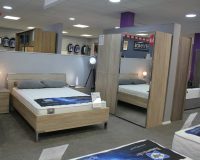 Choose from two heights and eight widths to find the version that best suits your space requirements. 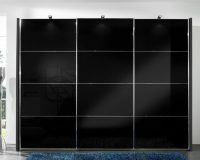 The selected colours for the body and front, the glass accent colours and the polished chrome handles and horizontal bars let you to customise your design. We have pre-defined three attractive designs for the fronts. 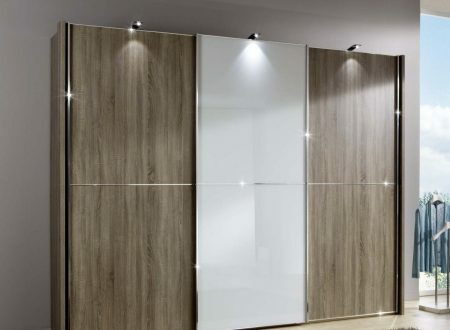 Additional lighting elements create a special effect and turn your wardrobe into an attractive eye-catcher. 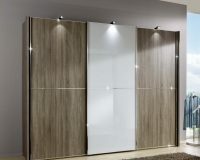 These lovely individual wardrobes make very effective use of space and are perfect for bedrooms, hallways or studio apartments, providing you with a particularly attractive way of gaining generous storage space.